Welcome back, crock pot! I love, love, love the crock pot, I just don’t use it enough. So easy and I love the way the house starts smelling good halfway through the day! 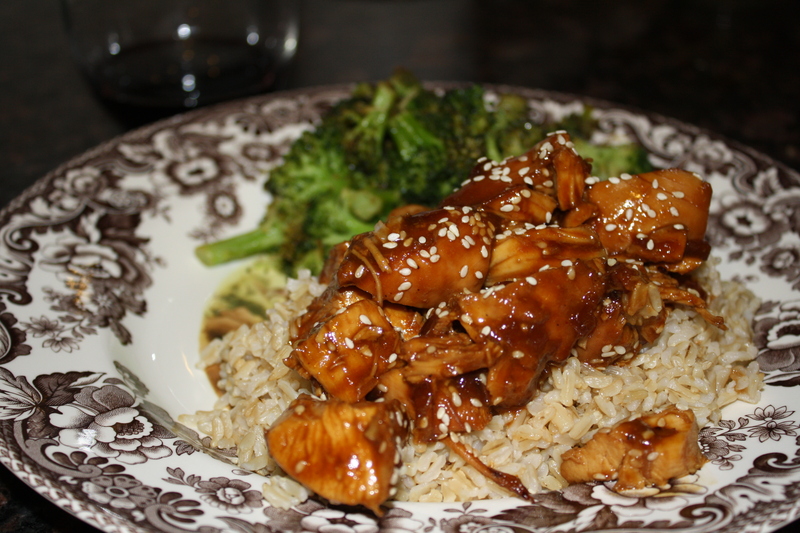 I love Chinese food, but it’s typically not very good for you, so when I found this recipe on Pinterest, I adapted a bit to make it a little healthier and it was so good. Another kid and family-friendly dinner. It was also super-cheap; I had everything but the chicken already in the pantry. Let me know what you think! Season chicken with salt and pepper on both sides and then place in the bottom of a crock pot. 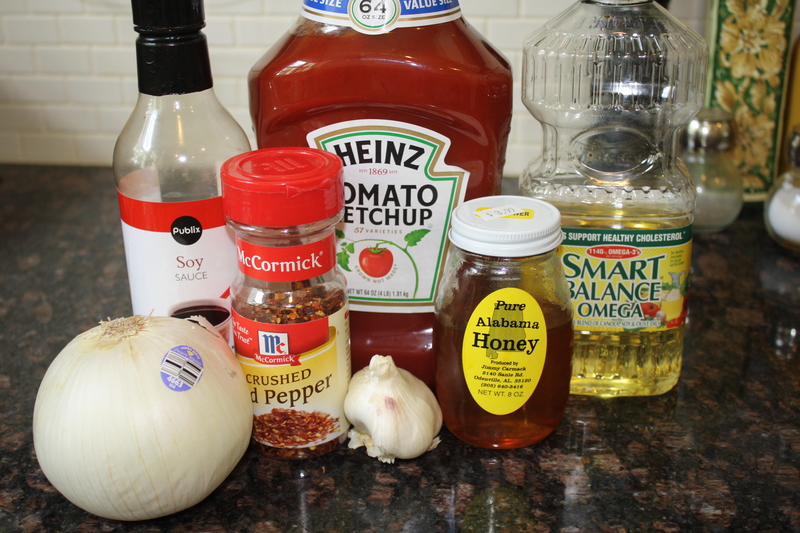 In a small bowl, whisk together the honey, soy sauce, ketchup, onion, vegetable oil, garlic and pepper flakes. Pour over chicken and cook on low 3-4 hours or on high 1.5 – 2.5 hours. When chicken is cooked, remove and chop into bite size pieces. In a small bowl, dissolve cornstarch with water and then stir into sauce still in crock pot. 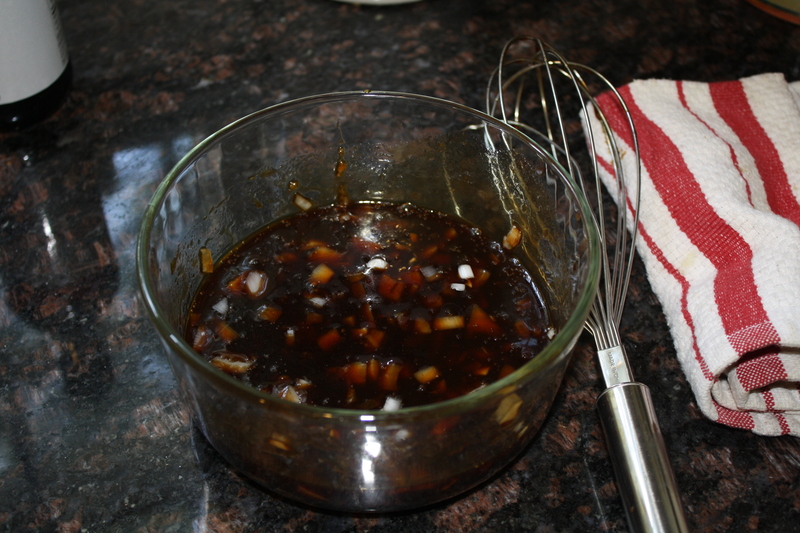 Replace lid and cook on high for 10 minutes or so, until the sauce thickens a bit. Once thickened, toss the chicken pieces with the sauce in the pot. 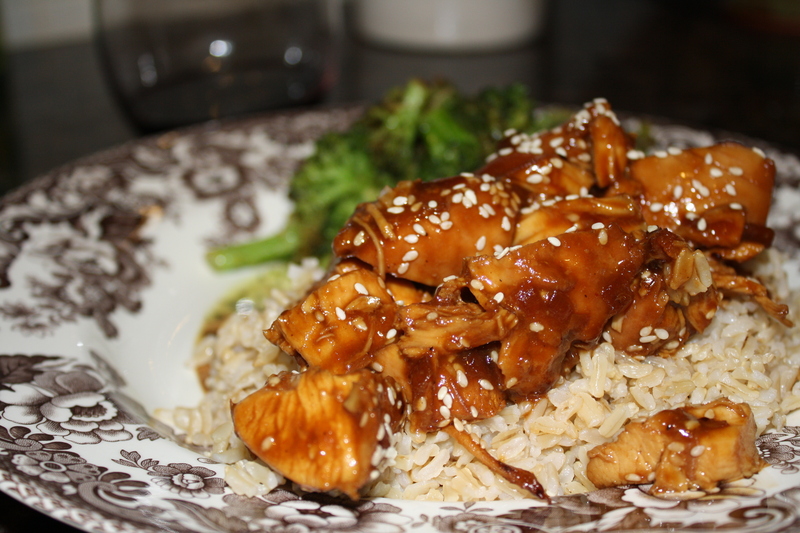 Sprinkle with sesame seeds and serve over brown rice and roasted broccoli. This entry was posted in Chicken, One-Dish Wonders, Weeknight Suppers and tagged boneless skinless chicken breasts, dinner, Food by ohtasteandsee. Bookmark the permalink. I’M LOVING THE RECIPES YOU’RE POSTING. WE’LL DO THIS AT THE LAKE THIS WINTER!